It may feel like dark and dreary outside, but sipping this red rum punch will leave you feeling like the sun is shining. 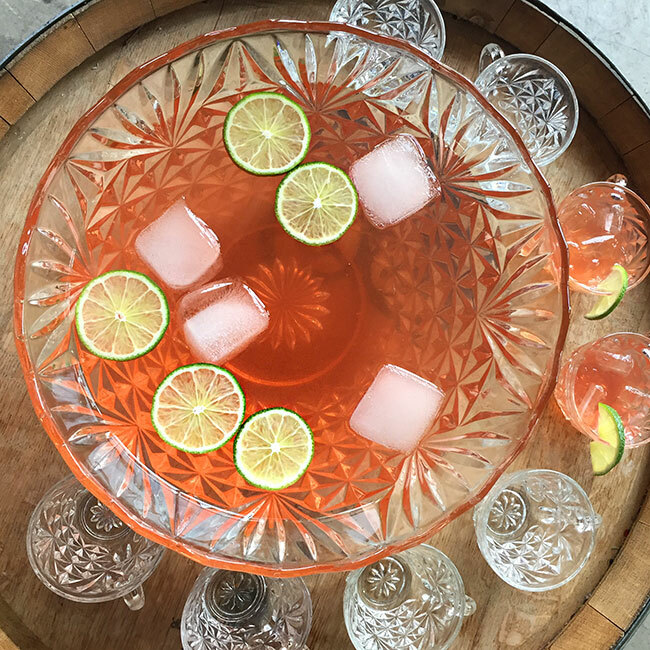 Combine all ingredients in a punch bowl and float lime wheels as decoration. Serve over ice in 4-6 oz punch glasses. Makes 15-20 servings.